Bulldog Village is an amazing place to live submitted by Lissette F. - Nov 02, 2015 |Recommended: YesLiving here is so convenient. The distance from the school is so close and the actual apartments themselves are spacious and you get the home feeling. response from property - Nov 09, 2015 Good morning, Thank you for your kind words! We here at Bulldog Village take great pride in trying to provide a fun and convenient college experience. 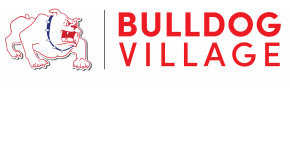 Thank you for making Bulldog Village your choice in student housing. We think you are pretty great too! Love itsubmitted by Kayla S. - Nov 02, 2015 |Recommended: YesBest apartment complex ive ever lived in. response from property - Nov 09, 2015 Good morning, Thank you for your kind words, Kayla! We here at Bulldog Village try very hard to provide a fun, memorable, and convenient college experience. Thank you for taking the time to tell us how great you think we are. We think you're pretty great too! It's clean, updated, and has a lot of fun activities to do. Staff is very helpful and friendly.submitted by Cyrina Y. - Nov 01, 2015 |Recommended: YesI would tell them that it's the best apartment complex in the area and is a great place to live. It also feels safer than other complexes in the area. response from property - Nov 09, 2015 Good morning, Thank you for your kind words, Cyrina! We here at Bulldog Village try very hard to provide a fun, memorable, and convenient college experience. Thank you for taking the time to tell us how great you think we are. We think you're pretty great too! A great place to live with smiling and helpful staffsubmitted by Hannah T. - Nov 01, 2015 |Recommended: YesIt is conveniently close to the university making for short commute times on foot to class. The people in the complex are nice and the amenities provided are efficient, as well as the upkeep of the swimming pools being frequent. On weekends you can hear your neighbours a bit more but that is a given really as it's their downtime, and if they are too loud they are willing to turn down the volume if asked politely and are compliant. The staff has done multiple maintenance orders and each time they have been very friendly and helpful, they make you feel welcome to ask questions about anything you're not sure of and have a great service manner. response from property - Nov 09, 2015 Good morning Hannah, Thank you for you your kind words! We try very hard to maintain our grounds and make sure that our residents feel they are well taken care of. It's awesome residents' like yourself that make us try to exceed expectations time and time again. Awersomesubmitted by Ding M. - Sep 07, 2015 |Recommended: YesI love here. response from property - Sep 09, 2015 Thanks, Ding! We are happy to have you here too! Amazing College Living Experiencesubmitted by Nancy A. - Jul 05, 2015 |Recommended: YesIt's a great place to live if you want to have the best college experience and be able to save money on a school parking pass. response from property - Nov 09, 2015 Good morning Nancy, Thank you for all of your kind words! We definitely try to provide a fun, memorable, and convenient college experience. We are happy you are enjoying your stay and think that we are so great; you're pretty awesome yourself! Thank you again, and we hope you have a great day! It is very convenient to live here.submitted by Qiang C. - May 08, 2015 |Recommended: YesWell, the most important thing to me is the Bulldog Village is very close to school, and it also close to the R-N market which is so convenient for me. response from property - Oct 19, 2016 Thank you for your review! We are very happy to hear that you are enjoying your stay with us and that our location is so convenient to the places your find most important! Homey feel to the apartments and attends to problems quicksubmitted by Jason K. - Apr 15, 2015 |Recommended: YesIt is really close to campus, do not have to worry about parking, addresses problems in a fast manner, and internet and cable is included with rent! Really good environment!submitted by Jessica C. - Mar 01, 2015 |Recommended: YesReally convenient and nice place to live. The apartment itself is up to date and I only had a couple problems when I moved in since the place had not been touched during the summer. Staff is super nice and always helps whenever you need it. Laundry and parking are always available. Good experiencesubmitted by Tiantong G. - Feb 28, 2015 |Recommended: Yesit s really a good living environment. beautiful and functional here. It nice and neatly taken care of.submitted by Elizabeth G. - Dec 31, 2014 |Recommended: YesIt is very free and open. Theres plenty of space around and a pool is near to everyone. There is no hassle to find parking. Then since you are so close to the school you can easily walk across the street to go to classes and not have to fight for parking every morning. Great place, close to schoolsubmitted by Mark R. - Dec 20, 2014 |Recommended: YesGreat place to live and go to school. With Fresno State just across the street getting to class is just a short stroll. And the price is great compared to other locations near by.